We talk songwriting, success and living the life up in Nederland with indie-folker Gregory Alan Isakov. 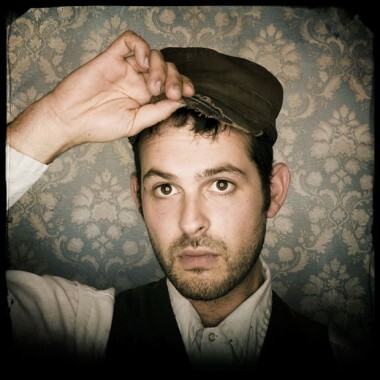 Ten years ago Gregory Alan Isakov was living out of the back of his truck. Becoming a professional musician meant roaming from town to town and burning CDs at Kinko’s with the attitude of “I’m going to make 10 and hopefully they’ll last the next couple shows.” Today, the indie-folk sensation has 27,605 likes, and growing, on Facebook and is working on his fifth album. Isakov’s lyrics weave between the countryside, heartbreak and observations. The guitar picking skips the listener along like a flat rock skimming over ripples in the water. His voice is hypnotic. His influences are jazz musicians like Miles Davis and John Coltrane, poets Simon and Garfunkel, Leonard Cohen and albums like Bruce Springsteen’s The Ghost of Tom Joad. We caught up with Isakov after a morning in the studio working on his latest album, which has a spring release date. You were born in South Africa. How did you come to the States? The family and I left Johannesburg in 1986 at the height of apartheid. We left with nothing. My whole family lived in a small apartment in Pennsylvania. We were never in one spot for too long. I got into music because it was this constant stable thing in life that I carried around with me. High school was confusing. I dropped out and traveled a lot [in the] Middle East and [to] all these spiritual centers. How is work going on the new album? We’re recording in a remote part of Nederland, in the woods on this little property up on a hill, far from any road. You can make loud distortions in the middle of night. My younger brother comes and plays music with me in the summers. We hang out and play chess. I write in a notebook. I’m always gardening. I’m building a sculpture too. The space that I take away from the recording is really important. I have to have equal time working on it and time away from it. That’s why it takes so long for me to produce records. How does it feel to make it as a musician? I never thought I would be playing music for money. I had a landscaping company. I managed a vegetable garden on a farm. I always played songs in the morning before I went to work. I love playing music. It’s like having dinner to me. I’ve never been a super social person. I get nervous at the gas station. Maybe that’s why I do it. For a long time I used to just tell myself that no one was here to see you, they are here to hear songs. Every time I play at a show I get nervous. When I’m in the house and know someone is there I won’t write music. January’s Trail Mix, free tunes you can download at bit.ly/S5I9Xy. This month includes a track off North Carolina string band Chatham County Line’s new live album, Austin acoustic instrumentalists Balmorhea and Aussie country singer-songwriting duo Kasey Chambers and Shane Nicholson.